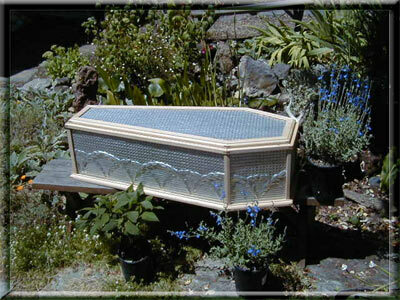 This coffin is constructed of varnished Douglas Fir with Mahogany inserts. The sides are of lacquered pressed steel. It has an upholstered lining and the interior measures 39 inches long by 10 inches tall.